The territory that formerly covered by Old Shanghai is today separated in several Shanghai districts. With a large share of the former French Concession on its territory, Xu Hui district has been the leading district for history preservation. I recently came across this article mentioning the renovation plan for this part of the city. The article also mentions an exhibition about the revival on “old skills” related to construction, that were used to build these old houses. This exhibition looks interesting and I will surely visit it. It is really nice to see that after years of destruction or ruinovation, preservation has become a matter of interest. At the same time, while those old skills have been lost in China and have now to be rediscovered, I cannot fail to notice that they are still available and used in Europe and other parts of the World. Several European countries, have been involved in restoration programs in Shanghai in the past. 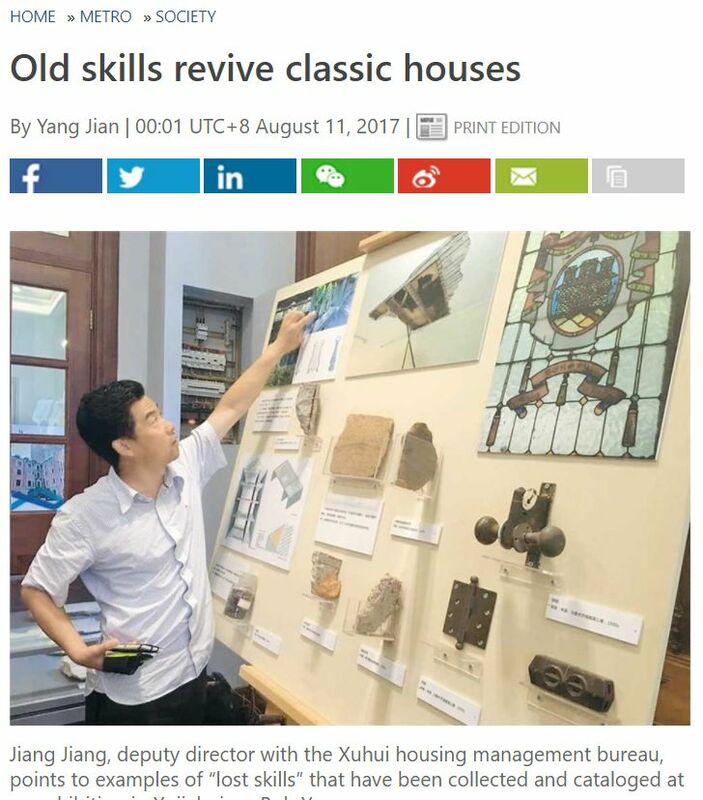 Maybe one does not need to look back for those skills to be “reacquired through the demolishing campaign on some damaged houses”… just ask other people involved in preserving similar skills elsewhere. I am sure they would be glad to help.